My last review of the week is the 2.0 Infinity Edition of the first two waves of OSM. 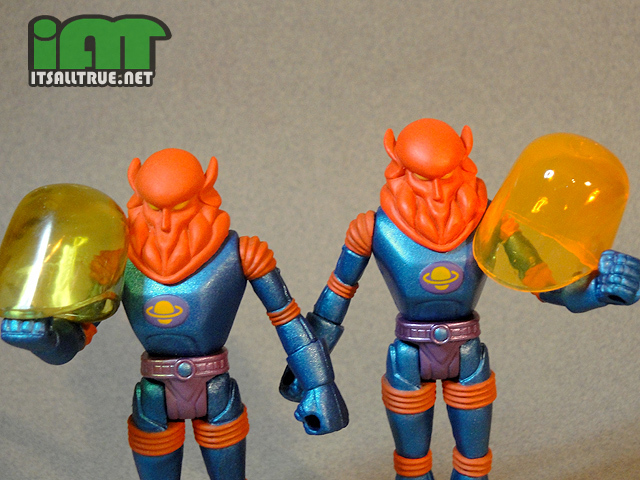 These are a reissue of the four figures that started the line. You may not notice it right away, but there are some subtle changes that give this set its own unique feel and may replace some of the originals. 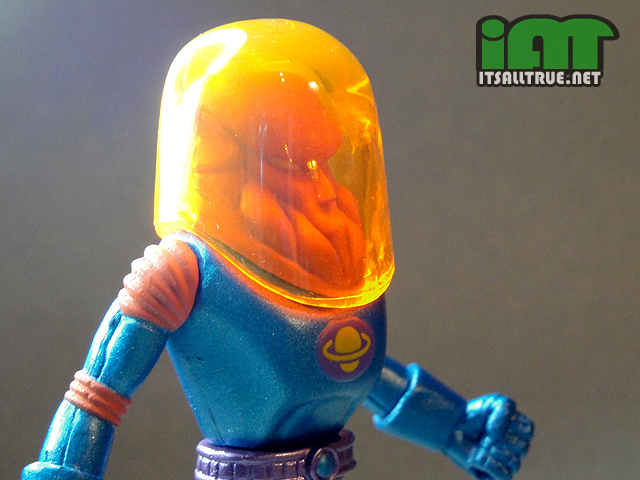 The redeco of the Infinity Edition figures is the brainchild of Mel Birnkrant himself. While the first release versions of these four characters looked great, Mel wasn’t quite satisfied and saw some room for improvement. Thus the reissued Infinity Edition was born! Like the original figures, these four come carded instead of bagged. The card design and art is the exact same as the first four and displays the standard issue figures on front and back. As someone who opens his toys, I don’t really mind the reuse but I can also see where MIB collectors would be a bit disappointed. Speaking of opening toys, these figures can be easily removed without damaging the package. I love it when collectible toys do that. 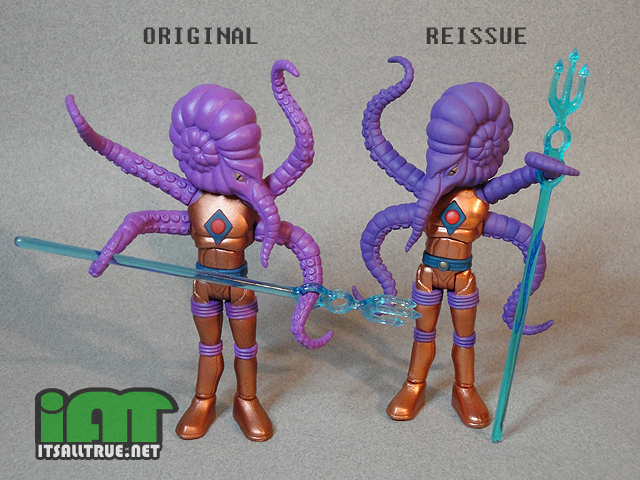 These four new figures have the same sculpt, articulation, interchangeability, and accessories as the originals. If you’ve bought any of the previous versions of these characters then you know exactly what to expect in those areas. 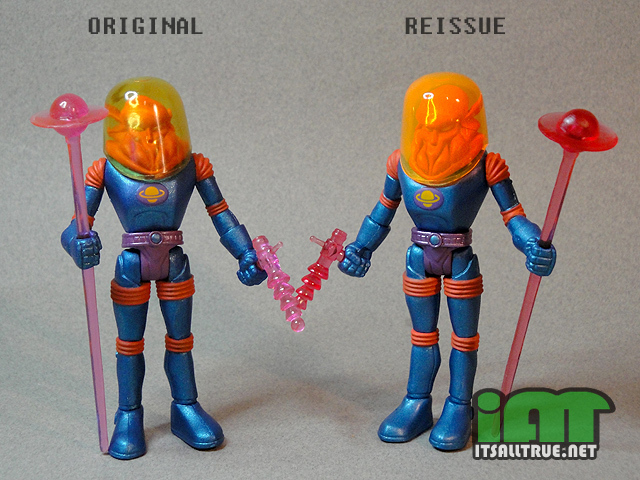 What set the Reissue figures apart are their paint apps and the color of plastic used on certain body parts. I’m going to start off with Xodiac, who is probably the least different of the four. His helmet and accessories are made of darker translucent plastic, but other than that there doesn’t seem to be any changes. The heads and bodies seem to be the same color. The Saturn tampo on his chest is lighter, but that could just be a factory created issue. I know these are Mel’s vision of what the figures should look like. But he’s so close to the original that I wish he’d have gotten more of a color difference. This way the original could be given the accessories of the new one, making him the base figure, while at the same time we’d still have a new version of Xodiac in this wave. Astronautilus has a few more changes than Xodiac, but they’re also very subtle and I needed the two standing together to really see them. 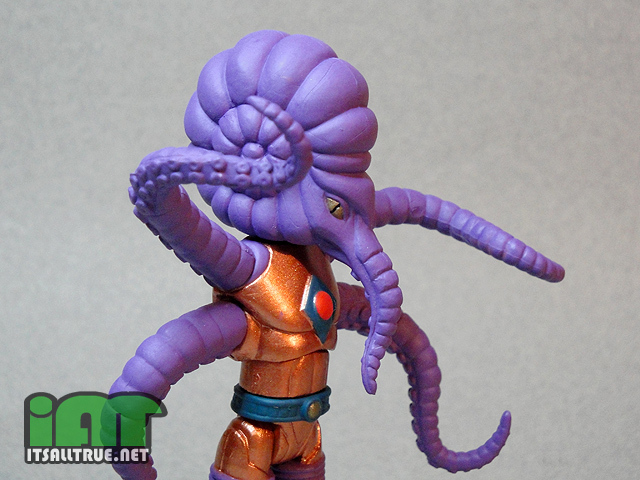 The biggest difference is the color of his head and tentacles. They used a darker shade of purple. The paint they used also has more of a matte finish and doesn’t reflect light as much as the original. I got these guys and they are great! Wow love the new metamorpho. Very cool. 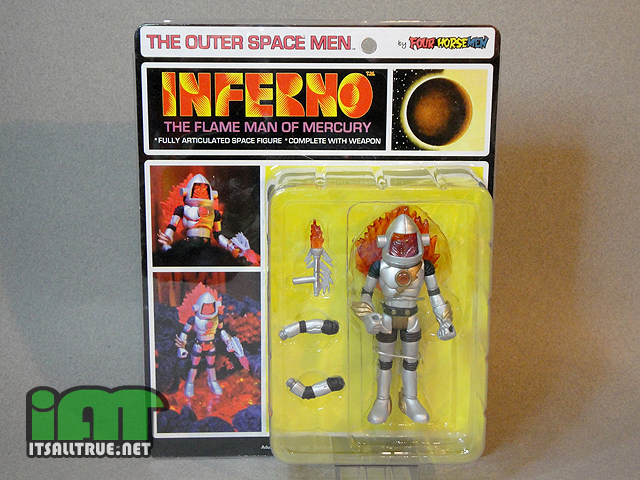 I really like the combinations of translucent and painted plastic, especially with the flames. I can definitely see why some would buy the set a second time.